Challenge: Redesign a six year old HTML site while preserving search engine page rank. 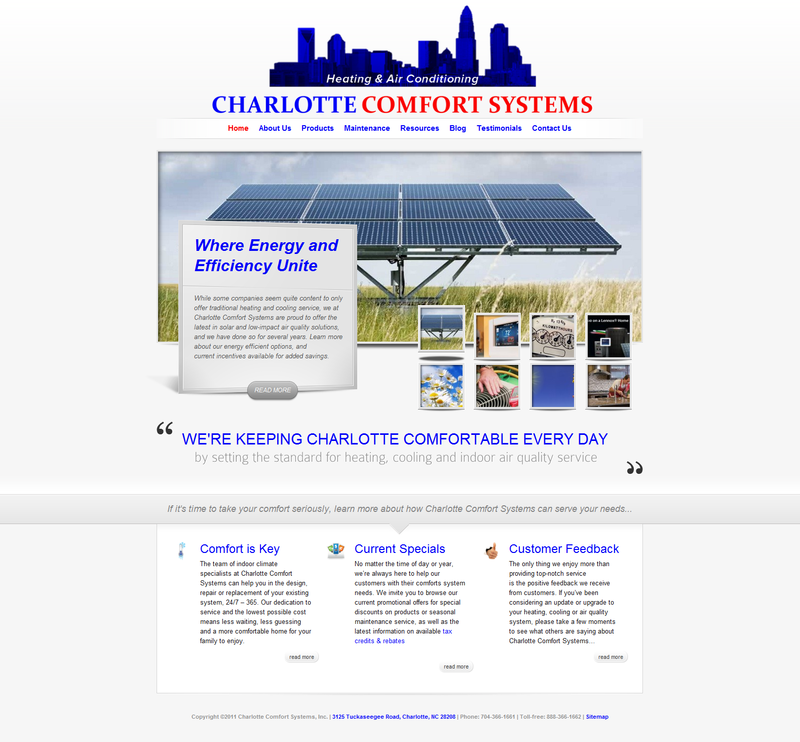 Background: After nearly six years with a static website, Charlotte Comfort Systems wanted a fresh look and feel to better showcase the quality of products and services that they offer. Their existing site was built in HTML, which did not provide an integrated content management platform for easily updating product offerings and page content. After consulting with the owners, Thumbknuckle Media identified several areas for improvement, and developed a solution that would preserve the maximum amount of SEO with a complete site redesign and transfer to a new, PHP optimized host server.